How Can Your Marketing Plan Support 2017 Sustainable Tourism Goals? By 2030, international tourist arrivals are set to hit a staggering 1.8 billion worldwide, nearly doubling the record-breaking one billion tourists in 2012 (UNWTO). 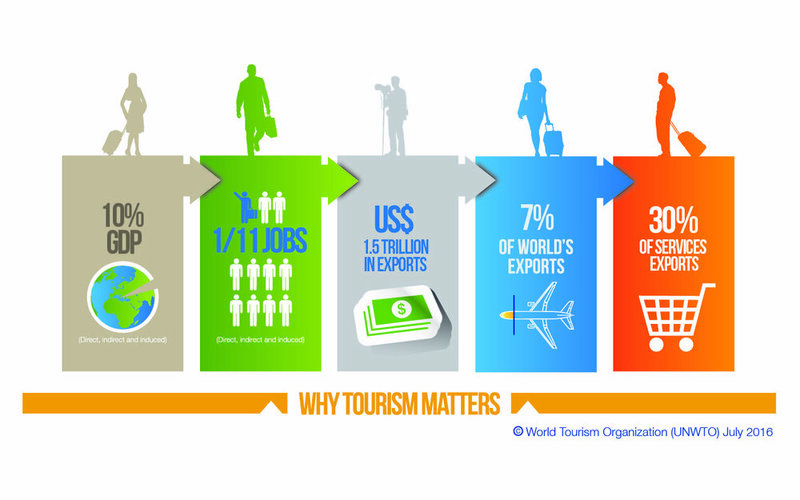 Tourism is a driving force in the global economy, providing 10% GDP and 1 in 11 of all jobs. We are a part of these statistics and dependent on the continued health of the tourism economy. It’s also safe to say that we all envision a future where our culture, environments and economy are thriving. But like any large global industry, tourism can devastate destinations when left to grow freely without strategy, management, or awareness of impact from the tourism industry. So, with the newly minted 2017 International Year of Sustainable Tourism for Development (IYSTD), what is our role as tourism professionals? The UNWTO just kicked off the 2017 IYSTD with the motivation that tourism can and will positively impact the 2030 Sustainable Development Goals. This broad reaching set of 17 goals and corresponding action points for 2030 includes: ending poverty, reducing inequality, combating climate change and inclusive education. It’s obvious that this all inclusive list is overwhelmingly large. However, it does give us a sense of direction. For the tourism industry, it means strategically supporting a sustainable economy, empowering local communities, treading lightly on the environment and fostering cross-cultural relationships. Still too broad? Well, each region is faced with a unique set of challenges and potential solutions. So, the goal is to take bigger ideas and brainstorm on how they can be applied on a local level. As we all know too well, consequences can be difficult to reverse when no action is taken. The tourism industry is reliant on the health of the environment, community and culture of the destination in order to continue to attract visitors. Without each of these important aspects, we lose the uniqueness and authenticity that compels travelers to explore. In Barcelona, tourists outpace the local population 3:1, forcing angry residents outside of the city and creating a “theme park” atmosphere in which culture and community is lost. On the Caribbean Island of Santa Lucia, foreign-owned hotels import over 70% of all food. This alienates local farmers, increases the hotels carbon footprint, and further detaches visitors from experiencing local culture through food. Our job is to evaluate what went wrong in destinations like Santa Lucia or Barcelona, and use strategic planning to avoid or alleviate these types of situations. Developing and marketing lesser known products to better disperse travelers throughout the destination to ease overcrowding issues in more popular areas. Promoting off-season travel to create a more stable year-round economy. Educating travelers on the unique and authentic aspects of the region that will in turn empower local communities to promote their own: food, culture, textiles, or the environment. Overtourism can be defined by a destination’s carry capacity, or “The maximum number of people that may visit a tourist destination without causing destruction of the physical, economic, socio-cultural environment, or decrease in the quality of visitors’ satisfaction (Dragičević, 1998).” When a destination surpasses its tourism carrying capacity, overtourism occurs. As mentioned above, Barcelona is just one of many destinations losing its culture, environment and economy to its overcrowding and overuse by tourists. How can your marketing plan tackle issues like Barcelona? Strategic marketing can promote lesser known alternative areas to better disperse tourists from over-popular places. Let’s look at the infamous Inca Trail trek to Machu Picchu, to better understand how tourism dispersion can alleviate overtourism. In 2012, the number of visitors making the pilgrimage to Machu Picchu surpassed the one million mark. By 2014 the Peruvian government was forced to heavily regulate the overused Inca Trail in order to conserve the environment and culture along this popular trek to Machu Picchu (Peruvian Times). The lesser-known and more adventurous Salkantay trek was promoted as a means to better disperse travelers. In partnership with Mountain Lodges of Peru, GLP Films used character-driven storytelling to promote this alternative trek to Machu Picchu. Strategic marketing for the Salkantay Trek campaign led to an 8% increase in sales, which in theory alleviated pressures from the more popular Inca Trail. Tourism planners are still struggling with how to manage the overcrowding of Machu Picchu. It is often the case with UNESCO World Heritage Sites that when areas are designated with such importance, everyone wants to visit (CondeNast Traveler). However, trends show that travelers seek more authentic experiences instead of joining the hoards of tourists going to popular areas (Travel Market Report). In this case, neighboring cultural heritage sites can be better promoted as an alternative offering more solitude and intimate experiences. Alternative sites disperse travelers, promote economic opportunities in other regions, and alleviate environmental pressures. As the tourism industry continues to grow, we are all tagged with the responsibility to ensure its health and longevity. Stay tuned for our second article that will share marketing strategies to tackle sustainability issues in emerging destinations and seasonally dependent tourism economies.